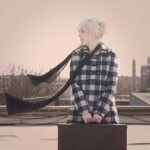 After several years honing her craft in the US and Amsterdam, South London Singer-Songwriter Ellie Lawson returns home to release her phenomenal ‘Lost Without You EP’ on 15th November 2011. The tide turned, the industry changed and Ellie decided to respond to a call to work with leading trance DJs like Richard Durand and Ferry Corsten in Holland by co-writing and adding her vocals to some of 2010/11s biggest European dance tunes, including ‘Safe From Harm’ with 4 Strings which was #1 on Beatport for 5 weeks consecutively and ‘Wide Awake’ with Richard Durand which was #1 in Music Week’s Cool Cuts Chart in January 2011. Ellie has decided that now is her time to come into her own and enjoy the sort of success in the UK she undoubtedly deserves. This self released EP is a great place to hear what all the fuss is about and with another EP planned for next year with acclaimed Communion Records co-founder and super producer Ian Grimble (Benjamin Francis Leftwich, Everything But The Girl, Manic Street Preachers) Ellie clearly has a big year ahead of her. There was a tingle in the air at Bush Hall, a sense of expectation – and those expectations and hopes were fulfilled. 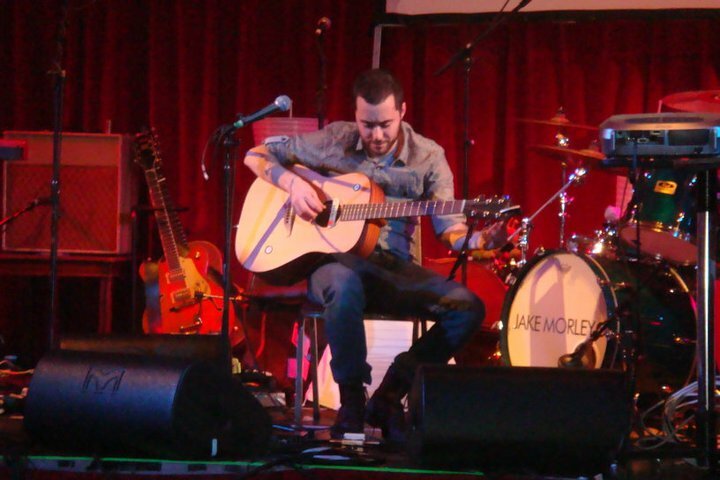 Jake Morley is a singer-songwriter who gained a strong following from his early YouTube recordings showing him playing the guitar in a very peculiar and jaw-dropping style. As he sings the upbeat love/hate-song to London, entitled “This City”, his hands flash around his guitar, plucking at strings, banging it on top, on the side, whacking and plucking a whole band out of the one instrument. This was a very popular video, but there is always a danger that the musician can be trapped by the popularity of this one thing, to become an online only flash-in-the-pan. This night, in a gig that launched his first album “Many Fish to Fry”, Morley proved that he has the potential to be much more than a one-hit-youtube wonder. Looking 100% at ease with where he was, and what he was doing – playing to a packed Bush Hall – Jake and his talented band proceeded to grab the already eager audience into the palm of his hand and lead them through his collection of songs that were at times heartfelt, funny, revealing and emotional – and ultimately uplifting. This is a man to follow, but not just on social media sites, but in real life whenever he plays a gig. This is music to cherish, an album that is personal, but speaks to you on many levels. The Maccabees are set to headline the Shockwaves NME Awards Tour 2010, with Bombay Bicycle Club, The Big Pink and The Drums completing the stellar line-up. The tour kicks off in Newcastle on 4 February 2010 and culminates on the 20th February at London’s Brixton Academy. The South London five-piece recently played a triumphant home-coming headline show at this very venue, from which The Guardian ran a five star review, acknowledging that “The Maccabees’ star has risen spectacularly in 2009”. Acclaimed Glaswegian rock band Twin Atlantic are set to continue their quest for greatness into 2010 with their biggest headline tour to date in the UK before they go off to the USofA in support of their debut mini album ‘Vivarium’ which was release this year on the newly founded Redbull Records. Amy Winehouse’s dad has managed to get his own TV series – or website series anyway! Mitch Winehouse’s new series on Liv continues to challenge the celebrity world as Cabbie Mitch sounds off about X-Factor Favourites, Alex Reid’s cross-dressing, Robert Pattinson and others. The whole rant can be viewed in its entirety in Mitch Winehouse’s Showbiz Rant, on LIVING’s new online channel Liv on Thursday 5th November. Liv can be retrieved through LIVING’s own website at www.livingtv.co.uk and also through an array of other websites and social networking areas (including YouTube and Facebook). The indefatigable 5 headed pop colossus that is Hot Chip have announced a return to the live arena with a UK tour in February that will span the length and breadth of the UK culminating in two back to back shows at Brixton Academy on February 26th & 27th (live dates listing below). Lady Gaga – the biggest selling new artist of the year bar none – has announced a major UK arena tour for February-March 2010. The Monster Ball will be her first UK shows of 2010, and the first chance for fans to hear live renditions of new songs from her revamped album, The Fame Monster, due for release on 23 November. Tickets go on sale Friday 30 October at 9am and are available from www.aeglive.co.uk or via the 24hr hotline 08444 775775. The Fame Monster is a two-disc re-package of Lady Gaga’s 4 million-selling debut The Fame. It will feature the entire breakthrough album – including the hit singles Just Dance, Poker Face, Paparazzi and LoveGame – alongside eight entirely new songs, including the new single Bad Romance, which is available to download now. From the ashes of the phenomenally successful Beautiful South, itself formed from the Housemartins, comes the New Beautiful South, and they tour the UK this November. After the original band broke up 2 years ago, famously citing “musical similarities”, a number of the band decided to reunite and resurrect the songs and the sounds of this Great British Pop institution by dipping into the Beautiful South songbook as well as writing new material. Find out the November dates from their official website. Carrying on where they left off Dave Hemingway & Alison Wheeler (Vocals), Dave Stead (Drums), Damon Butcher (Keys), Tony Robinson and Gaz Birtles (Brass) are now joined by Phil Barton (guitar), Karl Brown (Percussion) and Steve Nutter (Bass). The driving force behind the original band Paul Heaton continues to pursue his solo career. It seems very easy to be dismissive of The Proclaimers as so many people associate them purely with their big early hits of the 1980s. That’s a shame because if they gave them a chance they would find some great, beautiful and intelligent songs. This is what The Proclaimers brought to a nearly-packed St. David’s Hall in Cardiff last Wednesday. After a great showing by their impressive support Miles Hunt & Erica Nockalls from The Wonder Stuff, the lads took to the stage and quickly set out their musical stall. With a huge back catalogue it is really only the die-hard fans who could singalong with all songs but the well-known tracks really got the crowd going, from those 80s classics to their most recent tracks from albums “Life With You” and “Notes and Rhymes”. If there was one word that I could use to describe the gig it is “joyful”. That’s the feeling that The Proclaimers brought to their audience and have done so for a good few decades already.